It was a pleasure to welcome David Walsh - Business Editor of The Sheffield Star to The Mowbray this week to chat reasons why, location and of course our new state of the art events and meetings and conference venue. 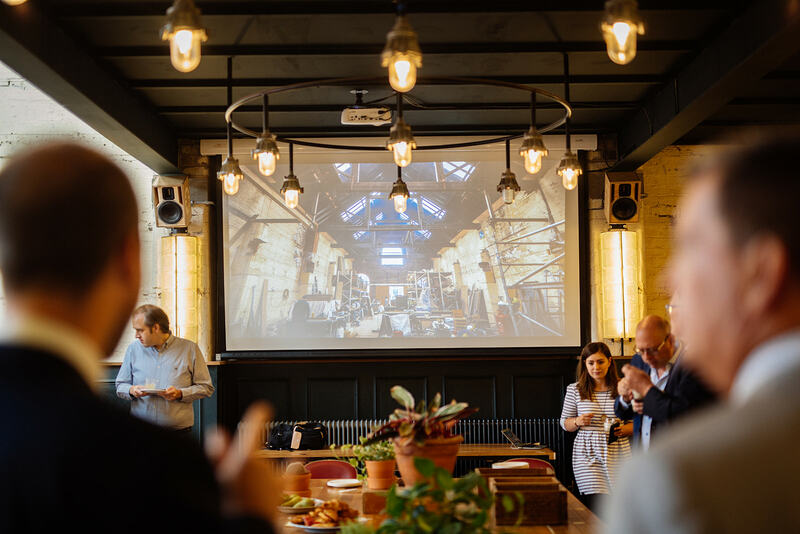 Our inspiration behind how we structured The Mowbray to house our businesses was that the building should and could be transformed into a design-led, inspiring and creative venue which hosted our design studio 93ft and events, meetings and happenings in the rest of the building. 93ft's studio is suspended in a giant glass pyramid high in the rafters of The Mowbray; the idea being - almost like a dolls house front - that when lifted off reveals lots of layers of activity and creativity from the ground floor all the way up the second level - with lots of rooms and happening in-between - from our commercial kitchen to the ever growing herbarium on the roof terrace. There has been a constant source of wonder and intrigue about the building, how we've designed and made 90% of what you see and the people and businesses we've used within a mile radius of The Mowbray. We were really pleased when David wanted to major on not only our choice of location - Neepsend - but also the impact of using local Sheffield businesses in not only our 3 year restoration of a building from 1889 - but other work both in the City and beyond. 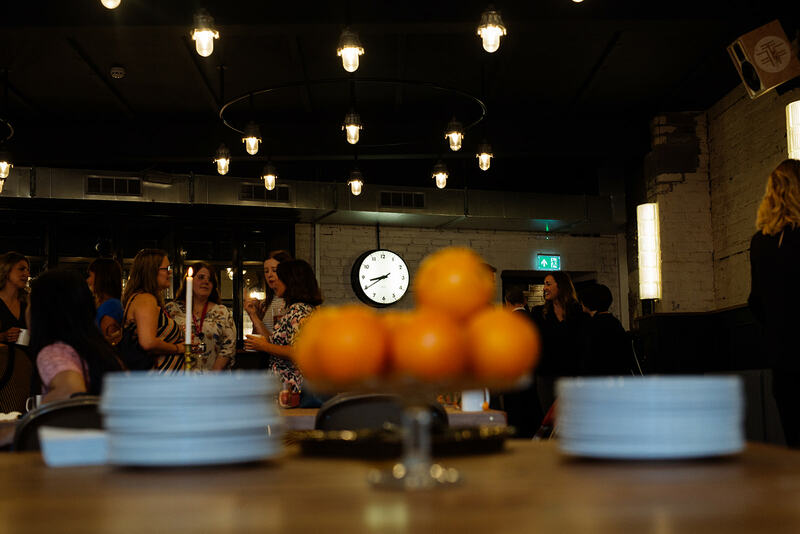 David came to see us just after a business event we hosted - BREAKFAST at The Mowbray (images below) - where we showcased our meeting, conference, away day facilities to some of Sheffield's brains of business... It was a wonderful event - and we're delighted to be supported by some great people, business and brands of our City who are looking for a fresh, creative venue to help portray their ideas and further business development. Some of our favourite bits from David's interview are below...But buy a paper or bob over to The Star Online for for full low-down! 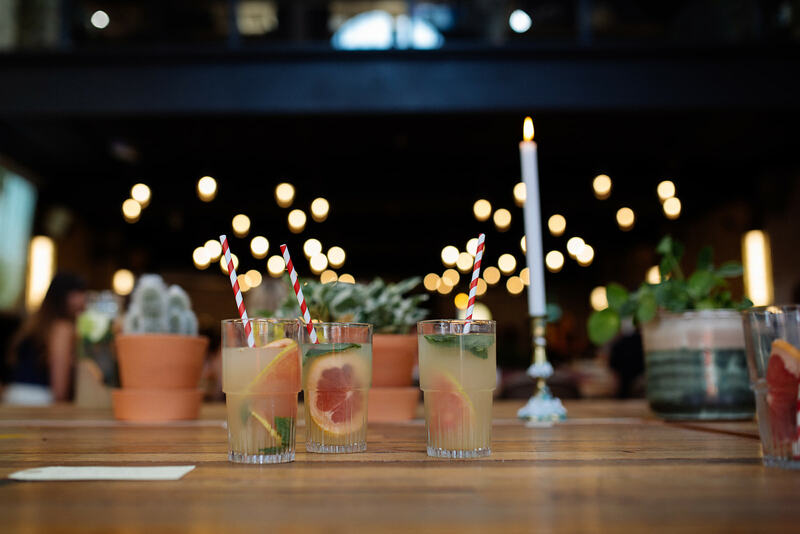 "There’s nowhere quite like Neepsend’s mix of trendy and traditional businesses - as The Mowbray shows." "The firm has a workshop, also in Neepsend, and made or revamped many items. It also had a policy of having everything designed and made within a mile of the building, handing out work to 10 local companies." About Neepsend, even though we're a 12 minute walk from the City centre “There’s a certain romance to the area. The thing we really like is it feels a bit wild and spontaneous." "The Mowbray team fitted out the building using businesses within a mile radius. Local firms also helped the company supply 1,000 items to London hotel The Pilgrim, designed inside by 93ft. They include Garretty Glass, Chop Shop for plywood, W.Wright cutlery, Mini Anchor fabrications, Two Brothers for powder coating, loud speakers from FTF Sound, Broadblast for shot blasting and Ingleton Fabrication."